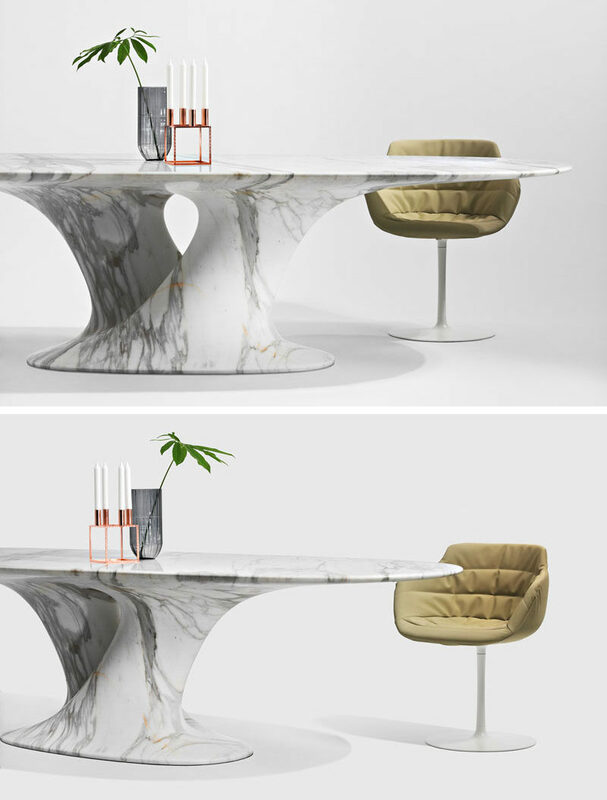 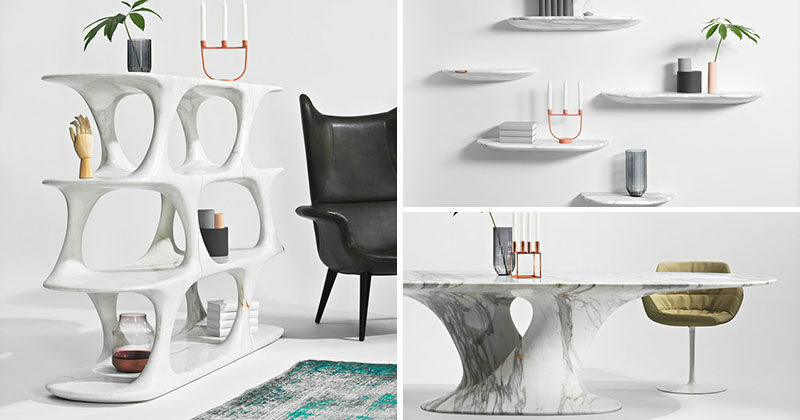 Austrian designer Rainer Mutsch has designed a collection of furniture made entirely out of marble for the manufacturer Breitwieser Stone. 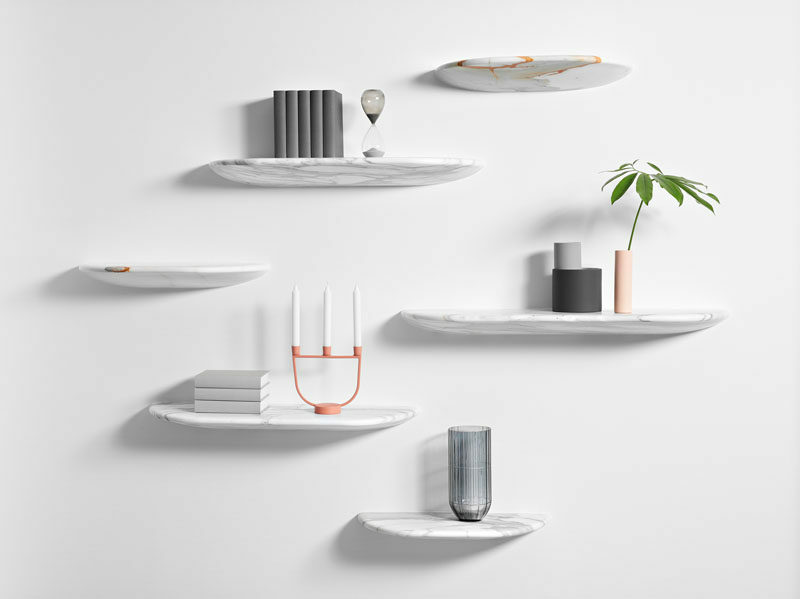 The Aeon Collection is made up three pieces, an almost 10 foot long dining table, a bookshelf and wall-shelves in various lengths. 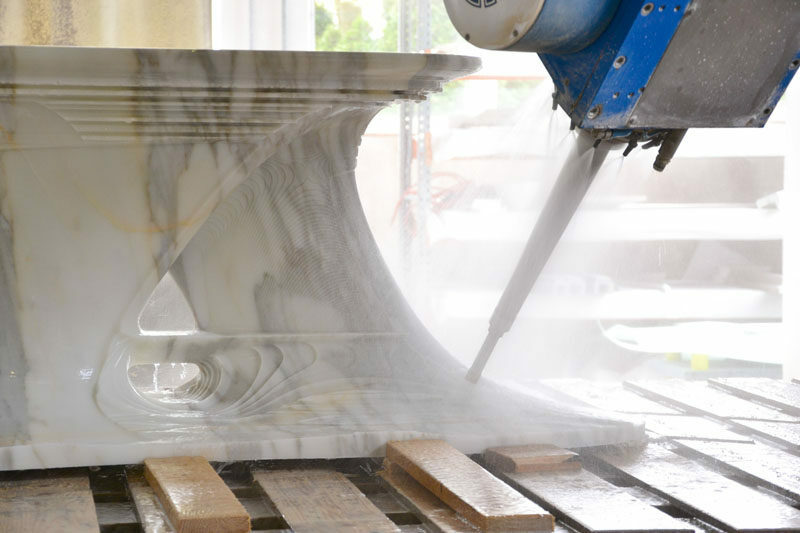 Each piece in the collection started out as a single block of Calacatta Marble from Carrara, that’s then milled to the shape of the desired design.